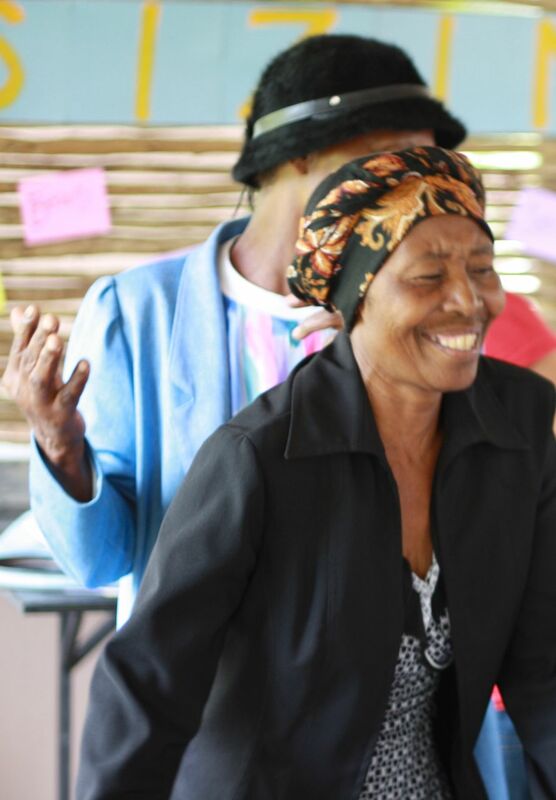 The Sizinani Home-Based Care workers from Dwaleni are full of joy at the end of a year of selfless giving, generous loving and serving the poor, orphaned and vulnerable without pay. Ten Thousand Homes recently celebrated these special women with an appreciation luncheon at our property, University Village. TTH staff, community members and the volunteers themselves prepared special songs, prayers and speeches for this time of celebration. A mixture of formality and freedom opened the way for beautiful worship and an intimate reverence for what God is doing here through these women. In honor of the impact the volunteers have made in our lives, we ceremoniously placed a mosaic stepping stone they made together in our garden for everyone to see the beautiful footprints they have left in their communities, in us and in the Kingdom of God. Beyond logic and reason, it is obvious that the more these ladies serve and give, the more energy, joy and provision they have. It is a beautiful example of the way Christ teaches us to love! We have learned so much from women who, materially-speaking, have so little. This week, pray for more provision and more energy for these volunteers to love. Honor them this week by giving one material possession you have away to someone who needs it, remembering that the more you give, the more you have. Even the smallest act of service will bless you and bless others to immeasurable degrees.